View the complete list of vendors available through Westcon-Comstor. 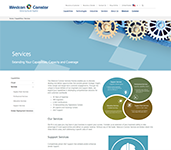 Discover Comstor and understand why we are more than just a distributor. Comstor has a finger on the pulse of the market. Read on and come back often for real-world perspectives, insight on trends, an inside look at Cisco and content that will transform your business approach. 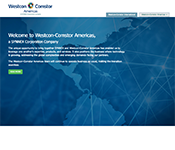 Get the Information you want, when you want it through Comstor’s Email Preference Center. Get familiar with our Comstor Team and those who will be supporting you!